The Ripon College Redhawks ran their win streak to eight games by knocking off St. Norbert College 76-61 at Ripon on Tuesday night. Tyler Semenas poured in 27 points and Isaac Masters added 20 for the Redhawks (13-5, 10-3 MWC) who built an early lead and never surrendered. 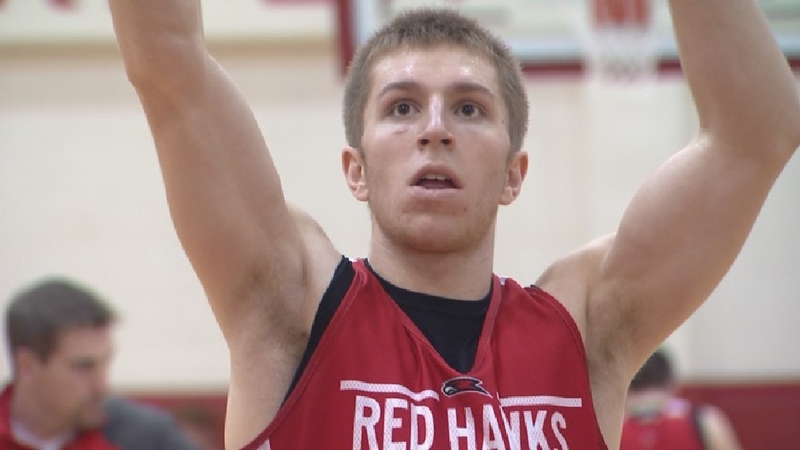 Ripon College shot 48% from the field, hit 7 of 17 three’s (41.2%) and 21 of 28 free throws (75%). Mitchell Reinthaler scored 14 points to lead the Green Knights (15-5, 10-3 MWC), who made just 1 of 17 (5.9%) from three-point range and made just 8 of 15 (53%) at the free throw line. The win gave the Redhawks a sweep of the two-game season series. 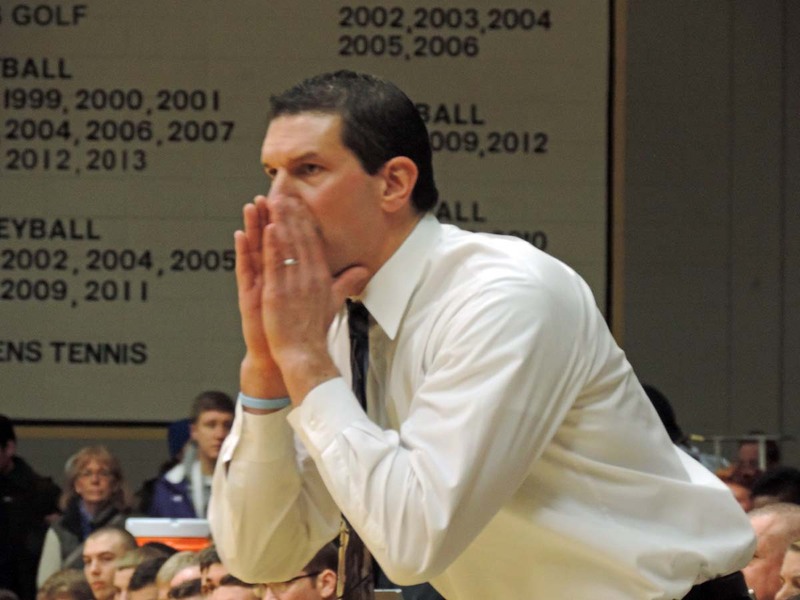 Ripon’s victory now leaves four teams (Ripon, St. Norbert, Monmouth and Lake Forest) tied for the lead atop the Midwest Conference regular season standings with 10-3 records. There’s just five games remaining in the regular season. Ripon’s all-time leading scorer Ty Sabin has signed a contract to play for the Horsholm 79ers in Horsholm, Denmark over the weekend. The New Berlin, Wisconsin native was named NABC Central District and D3hoops.com Central Region Player of the Year in 2017, leading all of Division 3 in scoring with 30.7 points per game. Sabin also ranked seventh in D-III in 3-point shooting (.478), while ranking 21st in 3-pointers per game (3.31). Sabin’s 86 total 3-pointers in the 2017 season ranked 18th in D-III and is just five shy of Ripon’s single season record. 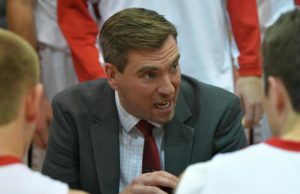 Sabin, who is a First Team All-American and three-time Midwest Conference Player of the Year, started all 98 games during his career with the Red Hawks, scoring in double figures each time, and finishing his career leading the NCAA, across all divisions, in career scoring average among active players (26.1 ppg). He’s one of only two players in MWC history to score more than 2,500 points. Sabin joins a Horsholm 79ers team that finished 17-16 last year and in third place in the Basketligaen, which is the highest-ranked professional league in Denmark. NCAA scoring leader Ty Sabin poured in 33 points on Wednesday night, leading the Ripon Red Hawks to a 81-55 throttling of 7th-ranked St. Norbert College in Ripon. The Green Knights saw their NCAA Division III record for longest winning streak against conference opponents snapped at 72. It also dropped St. Norbert College (11-3, 8-1 MWC) into a first place tie with Ripon (12-2, 8-1 MWC) atop the Midwest Conference standings. Ben Bobinski had 14 points to lead the Green Knights in defeat. The Green Knights struggled offensively on the road, hitting just 35% from the field, while the Red Hawks were red hot, hitting 55% from the field. Ripon also converted on 8 of 19 three-pointers (42%), while the Green Knights made just 3 of 22 from distance (13%). Ripon also had the rebound advantage 39-29. The two teams will meet again, on January 31st, at the Kress Center in Green Bay. For the third time this season and fifth time in his career, Ripon College men’s basketball guard Ty Sabin has been named Midwest Conference Men’s Basketball Performer of the Week. Sabin led Ripon to a pair of wins last week, averaging 36 points, 4.5 rebounds, two assists and one steal per game, while shooting 50-percent (26-of-52) from the field and 59-percent (13-of-22) from three-point range. In Saturday’s 78-77 overtime win over Cornell, Sabin posted a single game school record of 51 points and hitting 11 three-pointers, including the game-winner at the buzzer. Sabin has now scored over 500 points for the season, making him just the fourth player in school history to accomplish that feat. Sabin has scored in double figures in all 68 games of his collegiate career and ranks second, across all NCAA Divisions, in career scoring average at 24.5 points a game. The St. Norbert College Green Knights extended their regular season conference win streak to 46 games, knocking off Ripon College 59-57 on Wednesday night in De Pere. St. Norbert trailed Ripon 49-43 with 8:13 left before going on a 12-0 run to take a 55-49 lead with 3:00 left.